For this version, be sure to say who your team and/or sport is. Soccer dont really have the prospect rankings and stuffs like NA sports, so orange is out. Green is no need since my team (Chelsea) already got the best player in the league (Eden Hazard). 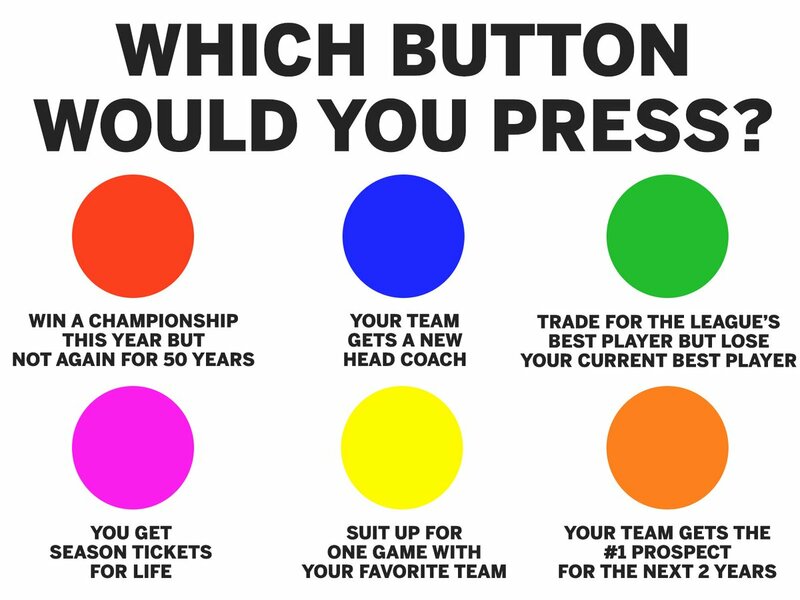 Red would be dumb considering we have won the league 5 times in the last 13 years. So I guess its a toss up between purple and yellow. My dream since I was 5 was to play for Chelsea, so I think I'd go for fullfilling my childhood dream.